Allahabad: Uttar Pradesh Health Minister Siddhartha Nath Singh here on Thursday said that a temporary hospital of hundred beds will be established in Kumbh Mela premises to provide better health facilities through pilgrims and tourists. Addressing the media here after laying the foundation of the hospital in parade ground, Mr Singh said that Yogi Adityanath government is committed to organising a grand Kumbh Mela keeping safety, security and amenities of pilgrims and tourists on priority. He said that crores of pilgrims from here and other countries will come in Kumbh Mela, the largest religious gathering of the world. Health minister said specialists doctors will be available in a temporary hospital to provide better treatment for needy. As many as 105 ambulances will be ready for swift respond in any emergency situation, he said adding that four air ambulance will also be ready in case of emergency. Mr Singh said 30 to 35 doctor’s chamber will be available in OPD. 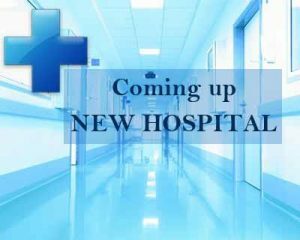 Hospital in the area of about 12,000 square fits will be capable of dealing 25,000 to 30,000. Apart from that several circle hospital of 20 beds, each will also be established. He claimed that the administration will focus on cleanliness and hygiene. In absence of cleanliness, many diseases spread and situation will be managed after controlling it. He claimed that over 1 lakh toilets will be constructed during Kumbh which will register in Guinness Book of Records. About 20,000 cleaning workers will maintain the better arrangements in Mela. He said that better lodging and fooding arrangements will be made for the workers managing arrangements and cleanliness during Kumbh.